Please check out Reset's limited release Discord server! It features a friendly community of collectors and automated reminders for LRG and other niche releases! Simply 'reply' to this quote for the invitation! Thank you very much! In late 2015, Mighty Rabbit Studios, a North Carolinian indie developer, established a division within their company to help distribute digital games in physical form. 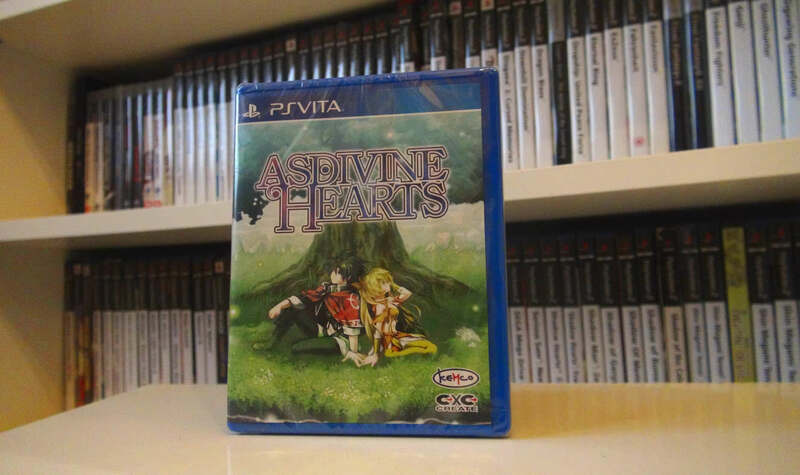 Under the aptly named Limited Run Games brand, they strive toward catering to gamers and collectors alike that prefer hard copies of their titles, currently for the PlayStation Vita, PS4 and Nintendo Switch, via small print runs sold exclusively through their website. These minuscule prints are done as a business model to insure these games are preserved in some printed media, although they might not necessarily encompass all DLC or patch work, while being profitable enough to continue their mission statement. Limited Run Games has pledged to never reprint their catalog so they're gone for good once an item has sold out. Due to these limited quantities, it's highly encouraged that you pre-register to the website and show up at the designated release times to better your odds at obtaining a copy. If you have any questions, please feel free to consult any of the aforementioned links for their most common FAQs or contact support in regard to a specific order. Please note that any re-release data is listed together with info from its earliest release platform. Looks like this just got made up, was looking for it and glad it's back! Nice that it's also adding in the other limited runs too. I wonder if LRG will come back to join too? Fantastic OT! Thanks for putting it up! I'm thinking they will, when they have something to say or talk about. I'm sure they're aware of the forum (and Doug is in the Discord). Has anyone received a shipping notification for Skullgirls? I thought I heard they were starting shipping on the 16th of October. As much as I love LRG, Special Reserve Games really impressed me with how they handled Shadow Warrior 2. They got it to me internationally in under a week, and the extras they included with it are gorgeous. If they start putting out some stuff like Hotline Miami I'll absolutely be snagging it. Can't wait for the Switch games to start pouring in. Yay LRG thread is back! Do Doug and Josh have accounts yet? Great thread! It would be nice to see the release lists of LRG, Signature Edition Games, Play-Asia & Special Reserve Games in the OP. But in all seriousness, I'm happy to see someone set up a thread here. Thanks. Oh, they're doing a release for La Mulana? Might actually have to pick that one up. Absolver, Nex Machina and ICEY will be purchased for sure. Sadly I can only afford one release in this wave, but I'm 100% in on Nex Machina. Will go nicely with Matterfall when I import it. Wasn’t the Vita port of 2064 canceled? La mulana is one of my favourite indie games and I would love a physical version of it but unfortunately I don't plan on getting a vita anytime soon. Hopefully one day it comes out on some other console in physical form. I could see EX ports happening ahead of 2’s release. 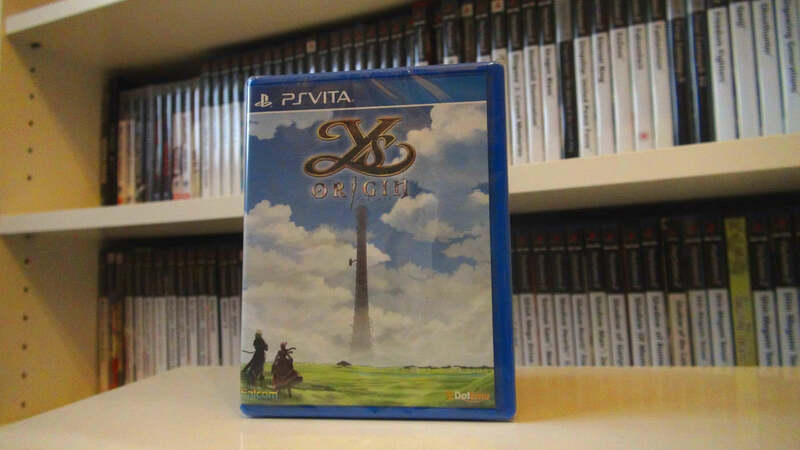 EX itself was farmed out to Marvelous and Pyramid I believe, Nigoro only did the PC and WiiWare versions themselves. So nice to have a new home with all the same good folks! Looking forward to collecting and sharing with you all! Yay my Ys Origins CE finally started moving. So if anyone had an October 5 tracking number that was inactive try checking today. Thank you for creating the thread! I don't if it would be possible or even if it makes no sense at all but I would love if they could provide steelbook versions. I'm trying to keep my physicl collection minimal but for steelbook I always have a place. Thread 'watched'. Also, I received these 2 fellas earlier this week. Has anyone received a shipping notification for Skullgirls? I got my notification that a label has been created a few minutes ago. Between this and my preordered-in-June-2016 Mondo Ramona Flowers shipping yesterday, all my long-delayed preorders are at long last on their way! Is there a price on their Absolver variant? SRG lists it at $35. 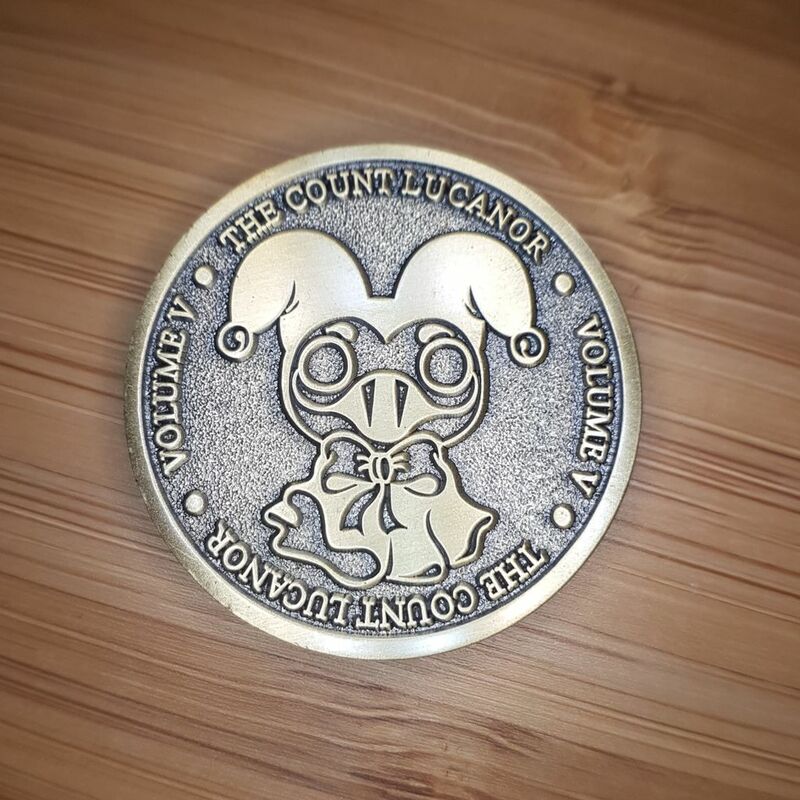 Signature Edition Games is doing a physical release of The Count Lucanor (PS4 and PSVita) for £25 + shipping. Otherwise they can't justify buying the game from them if people have other cheaper options available. Thanks for this! I'll be saving £12.65 ordering from them. The coin is nice, but not worth $20 CDN. Really looking forward to La Mulana EX! Just saw the La Mulana Ex LE... only 2500... here we go again!!! Glad to see a thread for this. I'm so happy that these companies are putting out physical edition of games, because I refuse to go digital. Looks like my next pickup is going to be Nex Machina. Good to see you here GodzillaDB, I was just a lurker on GAF but you saved me more than once with the LRG update. Hello again everyone, glad to see you all again. Thank you everyone for all the kind words! It's a pleasure to take the helm of this thread once again at Reset. Please let me know if there's anything I can do to improve the opening post, preferably by private/conversation message so that I don't overlook your suggestions. I'm currently planning to create a Google document that exclusively covers the Limited Run collection since they've been hammering out material on a monthly basis. It should cut down most of the "text wall" clutter in the OP which leaves room to reference other competitor catalogs. Keeping track of every physical release of this nature is a bit of a gargantuan task and I'm admittedly struggling with how to approach listing them in an legible manner. I know that user "dancrane212" created a document that covered the exact same ground back on GAF. I might send a message asking whether it would be fine hosting the link here as an additional resource. I know there's another file that's being handled by someone on CAG as well. Still thinking on this. Thanks for the reminder. OP has been updated with its removal from the upcoming list. Unless I'm mistaken, LRG has always price-matched their variants with the respective standard listings on SRG. It's wonderful to meet you, Emka, and glad to be of assistance! Hope this thread continues to live up to expectation! We already have a topic for region specific release here. Is there reason why we can't keep this topic specific to LRG like the other forum? I'd say that a lot of the games crossed ocer as LRG titles anyways, and people already started posted news of the others. The other topic isn't a "low print run" topic, specifically. I do hope Josh and Doug will make their way here soon, although, I am curious if they're willing to take up yet another community, or have the time to even do that. Hopefully they can fit this place into their outreach too at some point. My perspective at the time of forum migration was combing both topics was arguably necessary as they practically share the exact same demographics (digital-to-physical and/or rarity collectors). Like Curler pointed out, catalog crossover between several distributors has further muddied the water between limited and region-specific titles with Caladrius Blaze (PS4) being an example of something available as a standard, import-friendly release in one region, but received a minuscule pressing in another area that's touted as an official part of the territory library. Respectfully, I tried claiming the topic combination across the "Limited Retail" Discord channel and, later, a few volunteer Reset threads right around when Dan's topic went live. If it's a potential issue, I can speak with a moderator about how to proceed with these two threads whether splitting or combing as necessary. I think making it official LRG topic would make it more likely for LRG rep to participate in the future. Half the fun was guessing up coming release or making request. Maybe we can do what we did last time and have it be LRG focused but allow people to post deals or foreign releases? It's understandable that people focused on LRG probably want to know about other physical releases for prominent indie games or whatever, so let those posts happen but keep the majority focus and the OP be on LRG? I'm sure people will post other deals anyways, as all of this sort of fit into the same categories. It's hard to micromanage everything such as that, but certainly could try to keep it to a minimum. I'm part of other LRG threads on other forums as well, and in those threads there are plenty of other other game chatter, but LRG reps are still more than happy to continue visiting and posting in between those posts to respond to questions/comments directed at them. I think the most important thing will really to make sure that it's a good community, rather than 100% LRG that will get them here, and to continue to stay here. If there needs to be a middle point, possibly just remove the "Small/Region Specific Retail Releases" from the thread title, but putting it in the op that it's also fair game for all the other stuff, and keep the lists there for other stuff, if that just has to stay. Thanks for the thread (again)! I like the idea of a neutral thread not focused on LRG that’ll equally discuss other publishers, which is the premise of the thread you link. They shouldn’t be footnotes on a thread like they’re here. Sayonara #UmiharaKawase ++ (PlusPlus) will be released early 2018 for #PSVita by Strictly Limited Games! This will be a worldwide exclusive title and we are really happy to announce this partnership with our friends at #StudioSaizensen. Kondo-San is currently creating brand new cover art for the fans and we're confident that you will love it. Stay tuned for more exciting news from us very soon! Account approved ! Glad to be part of this new topic. Great job GodzillaDB ! Do you notice that there are several orphan "IMG" anchors ? I'll personnally skip Absolver on Wednesday, too much of an online game for me.